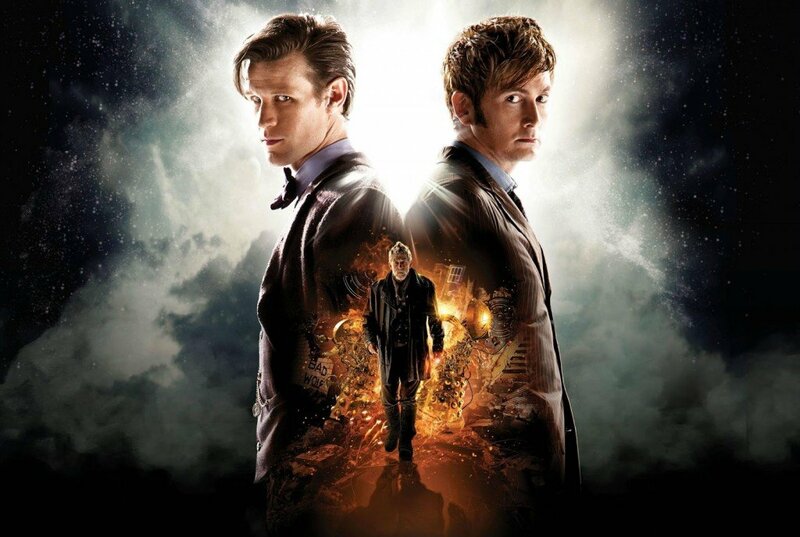 The Day of the Doctor – Doctor Who 50th anniversary episode – was broadcast in 94 countries at the same time as it aired on BBC One on Saturday night. Doctor Who fans have praised the show as “epic” and “phenomenal”. Featuring three Doctors – Matt Smith, David Tennant and John Hurt – The Day of the Doctor delved deep into the character’s psyche over 75 minutes. There were also cameos from former star Tom Baker, and Peter Capaldi, who replaces Smith later this year. “It’s the most ambitious episode we’ve ever done,” said the show’s boss, Steven Moffat, ahead of the premiere. Opening with the show’s original credit sequence from 1963, the special featured the Daleks and the return of shape-shifting aliens the Zygons, who first appeared in 1975. But the principal villain was potentially the Doctor himself. Steve Moffat’s story played with the idea, introduced when the science-fiction show re-launched in 2005, that the Doctor was the “last of the Time Lords”. It transpired that John Hurt’s version of the Doctor had taken the decision to commit mass genocide in order to halt a “Great Time War” – and the 75-minute episode saw him fighting to come to terms with that decision, aided by two future versions of himself. Aside from the emotional drama, the episode was filled with comedic moments – including a proposal, a marriage and “a machine that goes ding”. The show was also crammed with special effects, leaping from modern London to the planet of Gallifrey and Elizabethan England. “I don’t think it bears any resemblance to what we were doing,” said Carole Ann Ford, who starred in the very first episode 50 years ago. Screened in 3D in more than 1,500 cinemas in 94 countries – from Russia to Ecuador – the episode attracted hundreds of fans in fancy dress, from bow ties to Dalek outfits. A gala screening at the BFI in London was attended by Matt Smith, John Hurt, Steven Moffat and their co-star Jenna Coleman.